Good morning once again to all you strawberry pie scented vape-masters and mistresses out there…I hope you’re keeping those delicious scented clouds rolling and if not, well it’s time to get you packing the latest and greatest liquids on the market. I’m excited to announce that I’ve got a Viquid Review lined up for you today. Viquid is the latest e-liquid to be causing a stir here in the US, hailed as the industry’s first pharmaceutical grade e-liquid…hmmm I’ve heard the term ‘pharmaceutical grade’ thrown around a lot, so we will have to see! 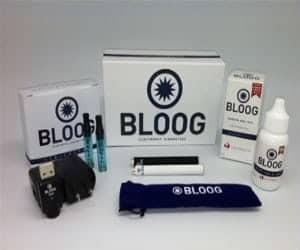 Now, doing my preparatory research for this Viquid Review, I discovered that Viquid is actually the result of a collaboration between American E-cigarette company, Bloog (a brand that was founded in 2008, by ex-smokers) and American E-liquid company, NicoPremia. Bloog is considered to be a trendy, sleek and affordable e-cig producer, while NicoPremia is known for delivering truly high quality e-liquids. Both brands are proudly All-American. With this release they're even boasting All-American Nicotine, where every component is produced at NicoPremia’s FDA registered pharmaceutical facility in Bucks County, Pennsylvania. Bloog is also advertizing the fact that every all American ingredient is USP quality, a factor that’s not really that unique to them…at least as far as American E-liquids go, however it is still good to know! So, I’m going to give them the benefit of the doubt, as well as pre-kudos for their attention to ingredient and manufacturing quality. Still, as I always say, the proof is in the pudding but I’m always amped to try out a new juice, plus…I kinda like the sound of ‘the first pharmaceutical grade e-juice’, so let’s get started on this Bloog Viquid E-liquid Review! I tried these flavors on my Eleaf Pico 75W, with a MELO III tank. All American: Now this is a flavor that’s tailor made for the quitter who’s fresh off their standard cigarettes and looking for a fix that will remind them of a tobacco stick…as such, it’s not my cup of tea. However, I did feel a very cigarette like throat hit and this general, authentic, unflavored tobacco taste would definitely do the trick for anybody who’s trying to kick the habit. Vapor production, medium to good. Dulcis: Now this is an RY style flavor, meaning tobacco with a sweet caramel base. I found it to be really well balanced, delivering just the right balance of bitter tobacco and good quality caramel to be a great option for someone waiting flavored rolling tobacco or pipe. The throat hit reminded me so much of tobacco smoking, while the sweet residual on my tongue and lips took me back to those flavored tobaccos of old. I would recommend this as a really high quality RY style juice, definitely high grade enough to vape on all day. Vapor production, medium to good. Glacies: An awesome, fresh menthol burst without being too overpowering, an excellent product for those menthol smokers who smoked menthol to avoid the taste of tobacco…as there’s no tobacco flavor here, only a clean really high quality menthol. It leaves a breath freshening residual flavor on the tongue which doesn’t build up to the point of making you nauseous, like so many menthol e-liquids do. I’d definitely recommend this as an unassuming but satisfying menthol, all day vape for lovers of that fresh flavor. Vapor production, medium to good. Pomona: I didn’t find Pomona to be a very complex vape and can’t really differentiate flavors between inhale and exhale. That said, I did enjoy the quality, natural blueberry taste, which definitely stood out in this berry mix… and I felt that the tartness and sweetness balanced out nicely. 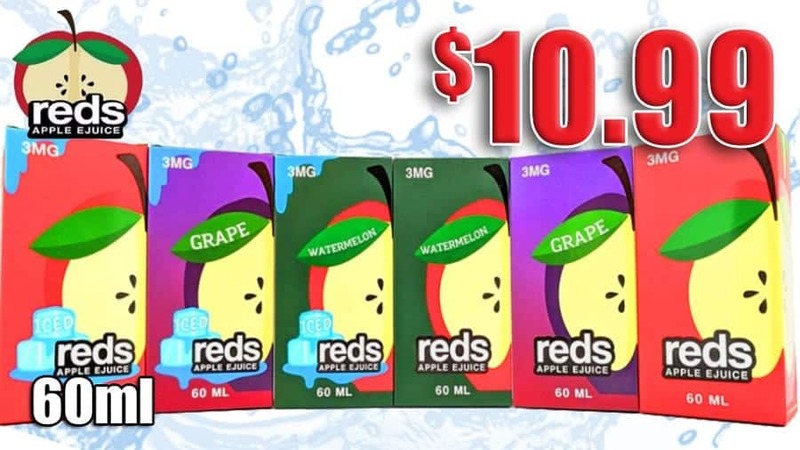 A good, fresh, all day vape that doesn’t deliver too much sweetness or any of that chemical undertone that I so often experience with a light berry mix, it leaves a nice natural blueberry residual on the tongue after extensive use. Vapor production, medium to good. The Real Difference: Ok, so Bloog is definitely not the first to release an e-liquid with pharmaceutical grade ingredients, that’s true…however, the real difference is in the all US sourcing of ingredients, even the nicotine is US produced, as well as the fact that the liquid is made in a US pharmaceutical facility. That was enough to put my mind at ease throughout this review, especially given the amount of Viquid I ended up consuming this weekend. Quality Standards: Now, with the sheer volume of e-juices on the market, we come across a number of products, especially those from abroad, which don’t necessarily meet the necessary health and safety standards. That’s why its a massive pro that for the e-liquid to be marketed as a Liquid by Bloog, 8 strict health and safety criteria need to be met, see the Special Brand Features section below. Great For Quitters: Given that they offer varying nicotine levels, so that ex-smokers can gradually ween themselves off the drug, this product caters well to the recovering smoker. Another thing I discovered during this Bloog E-liquid Review, that sets Bloog apart a little bit, is that they have actively tried to simulate the taste of popular tobaccos in some of their flavors, such as All American…this is essential for some smokers who’re just as addicted to the taste of tobacco as they are to nicotine itself. None of the flavors really rocked my world, none of the flavor explosion that I really look for…although they were of an extremely good quality. If you’re looking for unassuming flavors from a brand you can trust, that are suitable for all day use, these are definitely worth a try. All manufacturing takes place in a US Pharmaceutical Facility that’s FDA registered and DEA certified. The facility must at all times abide by Current Good Manufacturing Processes or cGMP’s. Only US sourced ingredients that have achieved USP designation may be used in the manufacture. All products must have official Certificates of Analysis or COA’s from an FDA registered, DEA certified Pharmaceutical Facility. Viquid needs to pass all FDA Pharmaceutical Stability Tests. Viquid must have a minimum shelf life of 2 years. Labelling / packaging needs to abide by all FDA Pharmaceutical Compliance Standards. Only double sealed packaging with child-proof caps and tamper proof boxes may be used. The high manufacturing and ingredient standards which Bloog applies to their e-liquids were made evident in the lack of irritation that I, as a very sensitive vaper, encountered during this Viquid Review. That’s why I’d definitely recommend it as a safe and trusty product for newbies looking for medium flavor, sensitivity friendly e-liquids. On the other hand, none of the flavors tried really stood out for me as overly delicious, gotta-stock-up-on-that types of flavors. Nonetheless I feel that they do deserve the four stars for delivering a product that really tasted high grade and which left no unpleasant chemical flavors in my mouth.